I clearly have a “type” — curvy, colorful, and a little retro. 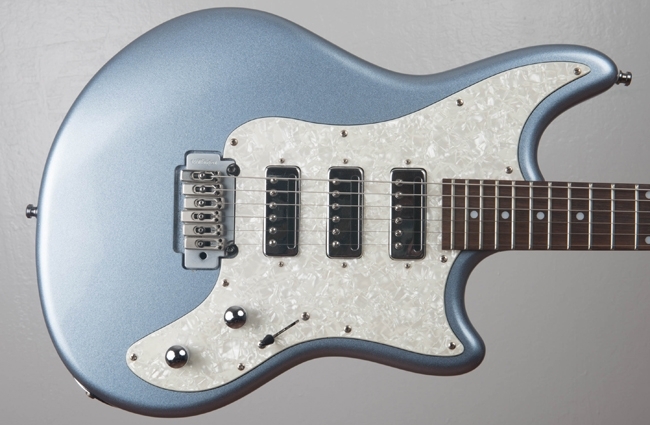 Time and again I find myself drawn to guitars that are made for niche audiences, and while I appreciate a high-end guitar made in America or Japan like any true cork-sniffer, I often find the Korean and Mexican instruments are super fun at a fraction of the price. I also don’t feel too bad if I decide to customize them. Going for the guitars that others think are “weird” has made me a very happy player. I was in the middle of packing for our big move — escaping rental and becoming homeowners — when that rascally Greg Philpott sent me a listing for a Schecter Diamond Series Hellcat on Craigslist. 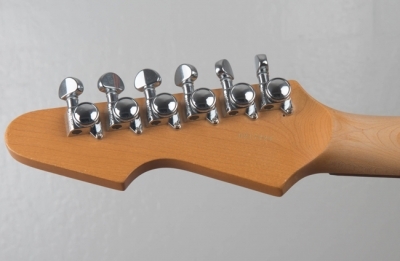 It didn’t matter that he was actively working on the refinish of my R-800 and had not been paid for that yet — like a six-string sommelier, he recognized this would match my tastes and knew the price was more than fair. Truth is, I had seen a video of a customized Strat and had already been thinking,”If two mini-humbuckers makes me happy, what about three?” for some time. 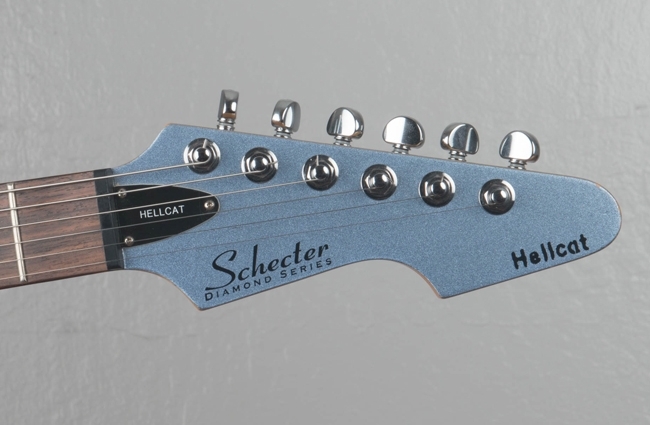 The Hellcat is very Fendery, with a 25.5″ scale, bolt neck, and Wilkinson VS-50 trem. Grover locking tuners and a nice metallic finish (they only made them in Ice Blue in ’02 and ’03) sweeten that deal, and I have no beef with midrange-friendly basswood. (Eddie Van Halen likes it and Ed Roman doesn’t, so that’s two ringing endorsements in my book). 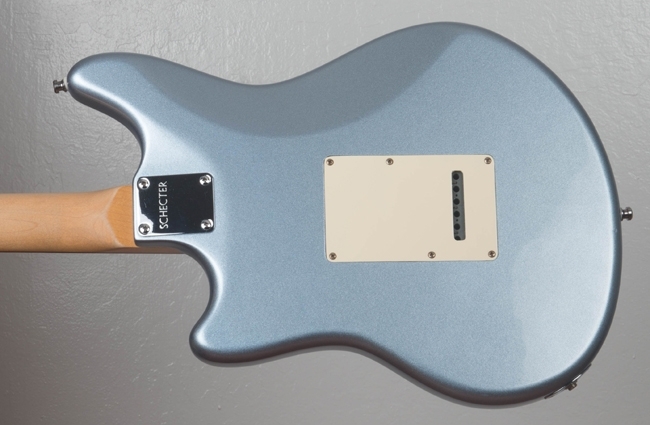 So I realized: Why dream about building a Strat-style triple-mini guitar if I can get one fully assembled for under $200? Again, if I want to upgrade the Duncan Designed pickups, I won’t be spoiling something sacred; Diamond Series instruments are made in Korea, in the Samick factory. There’s little wrong about this opportunity. Due to the crazy moving schedule, I met the seller in a parking lot, cash in hand, on a Saturday morning — and moved the house on Sunday. Fate never calls to see if you have the time or money to do something cool, right?